staring up at the stars. Wondering, is she the one? the cool of the grass, the warmth of each other. they wish on each falling star. than ever. Are we really made of stars? These two people feel that to be true. eyes give them the answer they seek. When we met, our connection was immediate, unmistakable. to be for us. And, somehow, we knew it. of those it touched, and leaving two people changed for the better. She will remember me. I know this just as I know the reverse. Ours is not a fairy tale ending. It’s much more real. My guess is that you know this love, too. Two people, a chance meeting, and a lifetime of memories. Artwork by my friend, Tosha Michelle, and used by permisson. My friend, Tosha Michelle, is a woman of many talents. She is a gifted singer, writer, and artist. I am in awe of the skill she displays at all three. I would be happy if I could do one as well as she. In addition to her creative talents, she is one of the kindest souls I have had the good fortune to encounter. And her quirky sense of humor is the perfect compliment to her well-rounded personality. She put her poetic talents on display in her book Confessions of a Reformed Southern Belle: A Poet’s Collection of Love, Loss, and Renewal. She also showed the beginnings of a penchant for long book titles. But I digress… She opened up herself to her readers with the beauty of her words and creativity. 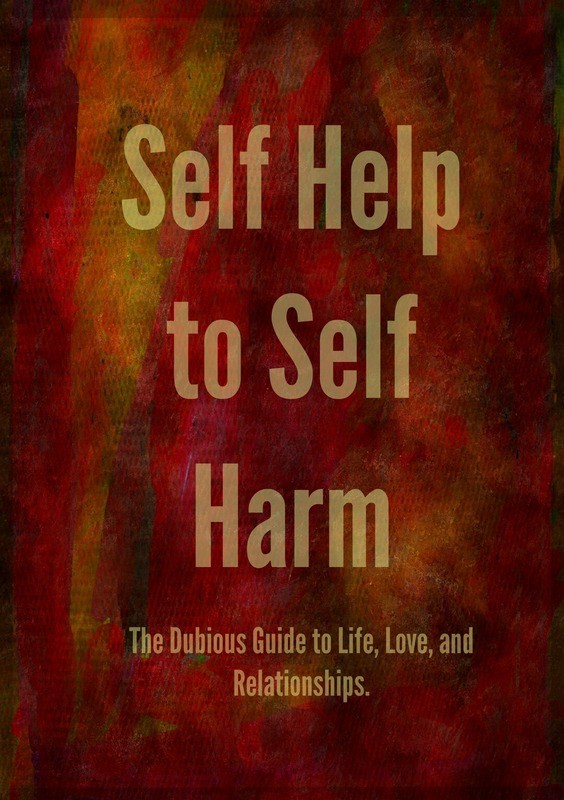 Now Tosha Michelle is back with her own unique addition to the self help genre: Self Help to Self Harm: The Dubious Guide to Life, Love, and Relationships. In its pages she draws from her life experience to give both women and men advice on dealing with the opposite gender, and life in general. She does this with a combination of openness, grace, humor, and confidence that only a daughter of the South can. But don’t let the title fool you. There is plenty of wisdom in this book. Reading it feels like she is sitting with me, sharing a box of Godiva chocolates (kidding- I would let her keep those all to herself), and conversing about life with the sister I never had. This is a book I will enjoy plucking from my bookshelf regularly for its wonderful glimpse into the mind and heart of one of my favorite people. And I hope you will read and enjoy this book as well. 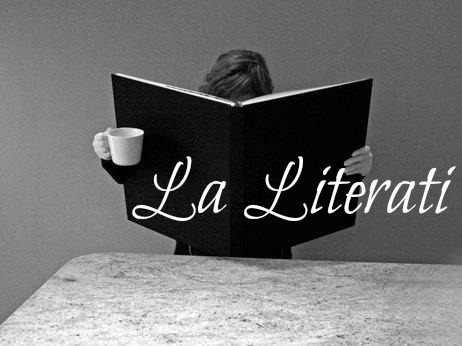 My friend and La Literati cohost, Tosha, has posted interviews with guests we have had on our podcast to her blog. You can find her blog here. 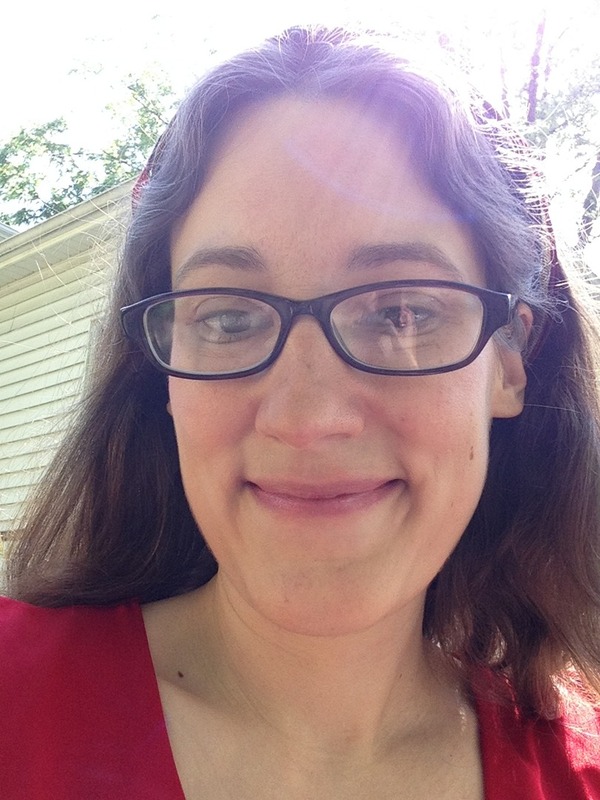 It seemed like fun, so I invited our recent guest, the writer Raelee May Carpenter, to answer 20 random questions from me. I hope you enjoy reading, and check out Raelee’s books if you haven’t already. 1. What three items do you always have with you? A pencil or pen with sticky notes. My iPod. And lip balm, because I am an addict. Irish Breakfast Tea, bold yet surprisingly comforting. But with fresh cream and local honey, because I ain’t low cal. Spiders. Seriously. Not even Charlotte could save me from that. Everyone would quit devaluing people based on stupid things like poverty, lack of education, nationality, developmental disabilities, etc. It would solve so many other problems if we truly believed all were created equal. So either that or Psalm 46. It’s so descriptive and inspiring, my favorite Psalm, definitely. It got under my skin in a big way when a certain politician misquoted it in a huge televised speech a while back. I’m still trying to let that go. If I’m ever famous enough to meet said politician, I’ll probably make a little mural of my favorite Psalm—with the right words, frame it, and present it to him as a gift. It depends. I love sunshine during the day, but when I’m trying to sleep, I need dark. What I don’t like is gray, like the sky can’t make up its mind. That’s just frustrating. Adam Levine, because if my country’s gonna have an anthem, I want it to be a Hit. Mad royalties and all that. Seriously, though, am I allowed to go back in time? I’d really want Fanny Crosby to write it. She was awesome. “Blessed Assurance” is my anthem. If I have to pick someone who’s alive today, I don’t know…maybe Stevie Wonder? 9. If Hollywood made a movie about your life, who would play you? What would the title be? Geez, I don’t know. I love Taraji Henson, but I’m so pathetically white. How’s Keira Knightley’s American accent? Maybe Natalie Portman, Anne Hathaway, or Ellie Kemper, who plays Kimmy Schmidt. Haha, how’s that for variety? 10. Clowns- creepy or cool? Creepy. So, so creepy. I think It ruined clowns for my entire generation. Thank you, Stephen King. 11. If you made a documentary, what would it be about? Today, I’ll say Britt Nicole’s “Still That Girl,” because hazel eyes notwithstanding, I am that girl. 13. Your favorite country to visit? Hard choice. I have a list of places that I haven’t been yet, but Ireland is a wonderful place that I have been, and I’d like to go back someday. There are still a lot of places here in the US that I want to see or go back to. I have ADHD, so I have this constant drive in my brain and my limbs that makes it hard for me to relax. I tend to get a lot done on my normal setting, and added pressure is more of a distraction than anything else. 15. Does love dry up your creative juices, or make them flow faster? 16. Do you hear voices? 17. Are you the paranoid type or calm, cool, and collected? I’m not paranoid, but I do have ADHD, so I don’t think anyone would describe me as “calm.” Haha. 18. Narnia or Middle Earth? Oh, I don’t know. Narnia is the fantasy of my childhood, but Middle Earth has so much adventure! I’d also really, really love to have a TARDIS. So many ‘verses, so little time! 19. Are you more like fire or earth? 20. What makes you, you? Oh, I think you’d have to ask God that. I am His, as He made me, and I’m still trying to figure it all out. Confessions of a Reformed Southern Belle: A Poet’s Collection of Love, Loss, and Renewal is the first book of poems published by Tosha Michelle. In its pages, readers will find an unique voice; a voice that cries out for universal good in the form of justice, understanding, and love. Her love of books, writing, and creativity in general, come through in vivid display as well. Join her as she explores the trio of themes from the subtitle: love, loss, and renewal. Fall under the trance of her melodic wordplay, just as I did years ago. Yes, hers is a familiar voice to me as I am fortunate to call her my friend. And I am excited for others who will be introduced to her talent by this book. A word of caution though- be careful of that narcissistic, rock star cat of hers. A part of me was scared of the idea, though. Being an introvert, I am much more comfortable sitting back and listening while letting others do all the talking. But, truth be told, I couldn’t turn down the chance to team up with my friend and do this. We consider this our way of helping the writers, bloggers, and publishers we know get more attention. We had our first show last night with best-selling author Mara Purl as our first guest. And it was so much fun. I look forward to many interesting conversations in the future. We hope you will join us! Below are links to our page on Blog Talk Radio, where you will be able to listen to any of our shows, and our Facebook page. We would love for you to take a look as you have the chance. I’ve talked before about how much I love to write, and how much I enjoy sending/receiving mail. I started to act on this a few Christmases ago when I mailed a few Christmas cards. Since then my mailing list has grown, and I am very happy about that. I was thinking that this year I would like to write occasional letters to friends, not just for birthdays or Christmas. So I wanted to see how interested some of you would be in getting mail from me and, when you have time, having someone to write. This will be open to anyone, no matter where you live. Just let me know and I’ll be glad to have new pen pals. This post is a spinoff of my post about reading. I love to write just as much as I love to read. It is one of my favorite means of communication. I get excited when I see words that I have written in print. I’m sure this is one reason for deciding to finally start a blog of my own. Since I am not a student anymore, I don’t have anyone telling me to write. So it’s up to me to practice and try to improve (or at least maintain the status quo). My first memory of enjoying the activity of writing was when I was eleven years old. I was in sixth grade and the curriculum called for an emphasis on creative writing. In order to progress to the seventh grade, my classmates and I had to do well on a writing test at the end of the school year. But I’m getting ahead of myself a bit. I didn’t have much prior experience with writing so I was very unsure of how I was going to do. With every assignment I received more positive feedback, which led me to work harder and see just how well I could do. At the same time, I was discovering a fun, new means of communication as well as a new hobby. And my essay ended up as one of my teacher’s favorites. In middle and high school creative writing was replaced more by term papers and research papers. But I still enjoyed it as a means of expressing myself. My experience as a college undergraduate served to encourage my love of writing even more. The Sociology department sponsored a journal in which the chair of the department picked what she considered the best student writing over a two or three year period. These essays were published in a professionally done journal that I still take pleasure in looking at even now. I was fortunate to have three of my essays published in the two years I attended Mercer University. I set my dreams of being a published writer aside for a bit while I worked at a bookstore and then studied for my Masters degree. But something brought it back to the front of my mind. That something was a test by Longridge Writer’s Group. This is the equivalent of a school course of study on writing. I decided not to enter since I was already in graduate school at the time. But the group touted a test that you took to determine whether you were a good enough writer to enter the program. They accepted me, which was another means of positive reinforcement about my writing. Since then, I have actively pursued a teaching career, while keeping the writing in the back of my mind. I hope I can somehow combine the two careers, academics and writing, in the future. Maybe as a college professor. I thank those of you who have stuck with me through this long-winded ramble of a post. As always, thanks for reading.